Recent buyers seeking an affordable sports car have often been forced to make a heart-wrenching choice: the open-air rush of a roadster, or the closed-roof security of a coupe. With the introduction of the 2017 MX-5 RF, Mazda gives sports-car lovers the option of rolling either way — in the same car. 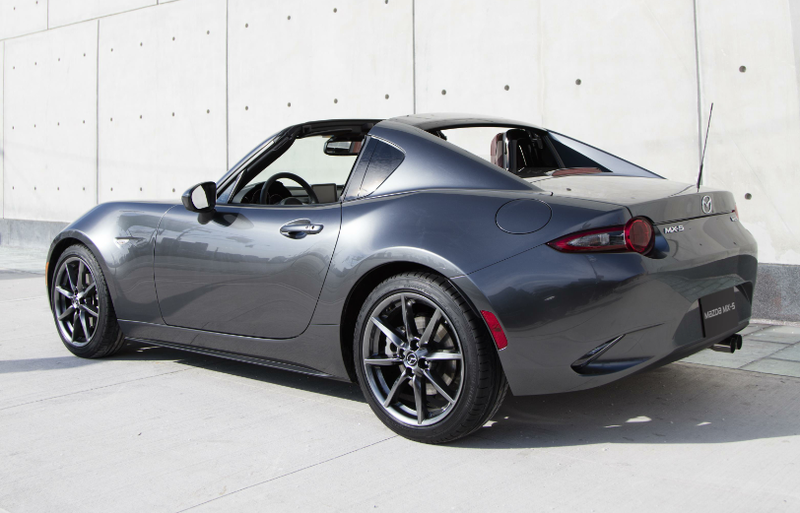 The fastback, “targa” roofline of the MX-5 RF gives it a sporty, upscale look, and also helps limit wind buffeting at speed. 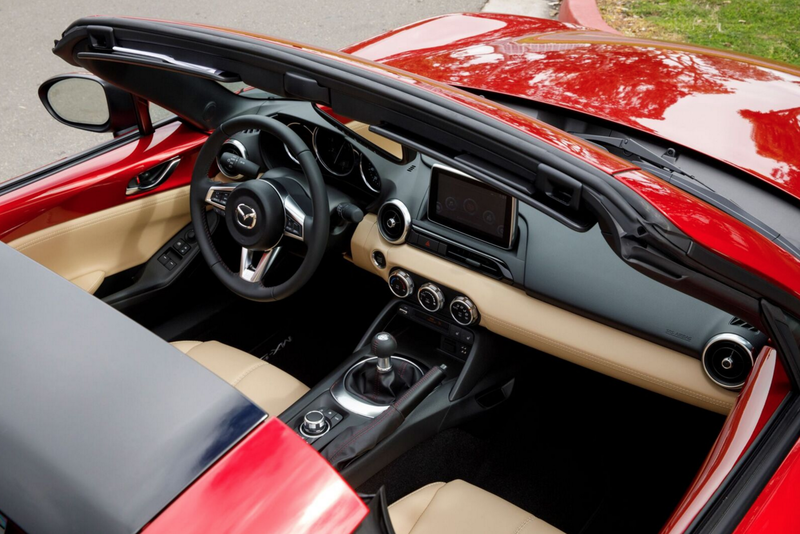 Granted, the RF’s “open-air” option isn’t a true convertible, as only the roof section over the passenger compartment goes down, targa-style. But whether the roof is open or closed, what remains is a neat-looking fastback roofline incorporating buttresses that allow for a conventional trunk lid. And under that lid is the same trunk space as found in the roadster – even when the top is lowered. The last-generation MX-5 was available in a retractable-hardtop version with a “bubble” roof that folded out of sight, but no similar model was offered when the MX-5 was redesigned for 2016. And for those who bemoan the loss of the true “hardtop convertible” design, note that the RF suffers less buffeting and wind noise when the roof is open, largely because the remaining roof section is better at preventing the “back draft” than was the former manually deployed wind screen that fit behind the headrests. And seriously; which MX-5 looks better with the top up? Push and hold one button, and the RF transforms from closed coupe to open roadster in only about 13 seconds, and it can do so at speeds up to 6 mph. 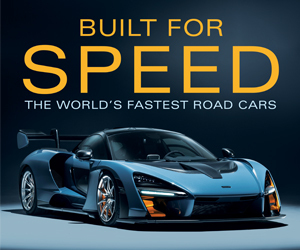 That’s not very fast, of course – and we found it shuts down the process if you accidentally go past that speed – but it’s enough that you could do it while creeping along in traffic. And during that 13 seconds, the roof performs a Transformer-like series of motions that’s quite entertaining to watch. Furthermore, Mazda says the RF is only about 100 lbs heavier than the roadster, so performance shouldn’t suffer much. The one-button transformation from closed to open (or vise versa) takes only about 13 seconds and can be done at speeds up to 6 mph. One downside: All that complexity adds cost. In fact, the RF breaks the $30,000 price barrier some might set as the limit of “affordable,” but not by much. 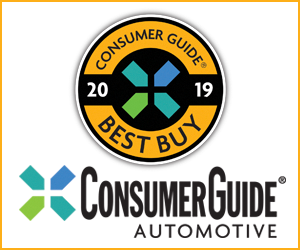 It’s only offered in two trim levels, and neither is the “base” configuration that anchors the roadster lineup. As such, the least-expensive RF is the Club with manual, which starts at $32,430 including the $875 destination charge; add just $730 for the automatic. Meanwhile, the top-line Grand Sport starts at $33,495 with manual, $34,700 with automatic. Shown is the Grand Touring’s nicely appointed interior, here with tri-tone (black/tan/red) color scheme. But how does it all work in practice? As mentioned, top-down travel is more serene thanks to the better back-draft protection; you still have to raise your voice a bit at higher speeds in order to converse with a passenger, but you don’t have to yell, and your ‘do won’t get mussed as much, either. (Admittedly, the last not necessarily an advantage to some.) Visibility is OK to the front corners, but the roof blocks most of the view behind your shoulders, though straight back isn’t bad. Oddly (and disappointingly), the sunvisors don’t pivot to cover the side windows, and there’s no rearview camera – though the RF comes standard with blind-spot and rear-cross-traffic alert. Although our San Diego test route didn’t provide us with any true potholes, the smaller bumps we hit produced little of the typical convertible cowl shake. This was also the first of the current-generation MX-5s I’d driven for any distance that had the optional 6-speed automatic transmission. Flooring the throttle from a stop produced a reasonably good jump off the line, and hitting the gas at speed resulted in impressively quick downshifts. While I’m more of a manual-transmission guy myself, I can see the appeal of a “set it and forget it” automatic, particularly one that’s this responsive. In other ways, the RF is much like the roadster version: great handling, sporty steering feel, and decent bump absorption, but limited headroom and legroom, very limited interior storage, somewhat tricky infotainment controls, and a “pack lightly” trunk. Most of these elements — good and bad — could be used to describe other low-priced sports cars these days, but none of them allow you to choose between open-air freedom and hardtop security at the touch of a button. 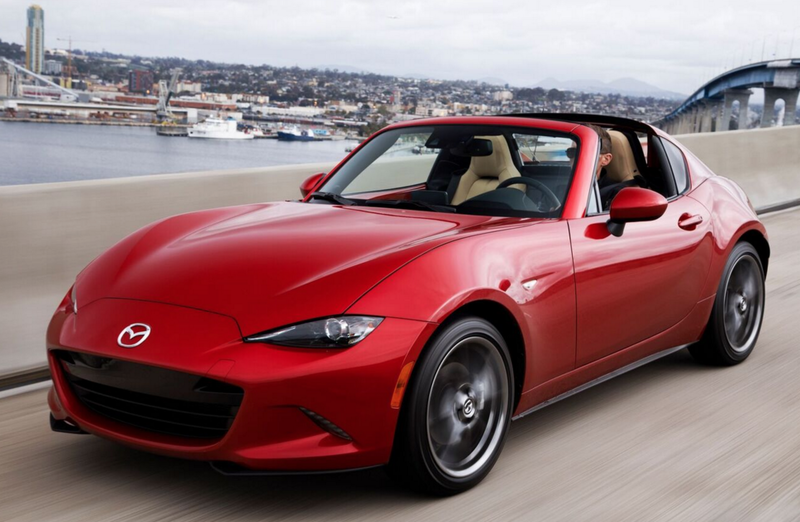 Mazda’s 2017 MX-5 RF is the lowest-priced sports car to offer this combination of open- or closed-roof motoring. Written by: Rick Cotta on March 19, 2017.on March 20, 2017.